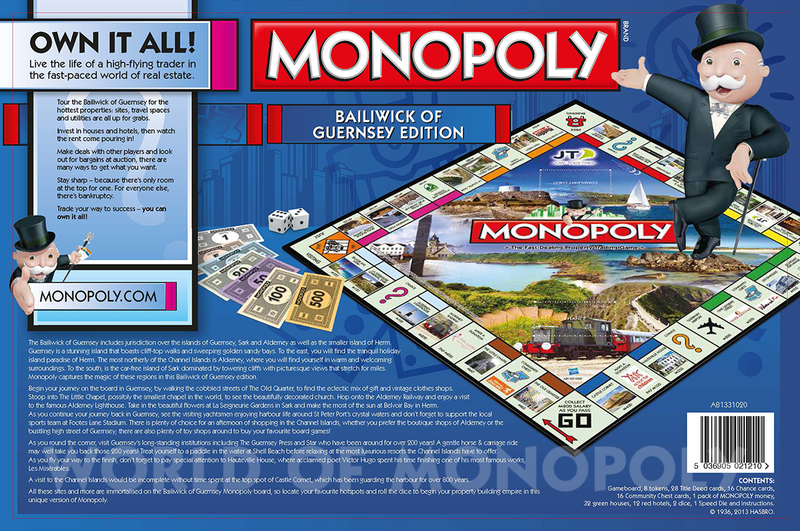 This version features landmarks from all over the Bailiwick including sheep racing, the Coupée and the Seigneurie Gardens in Sark. 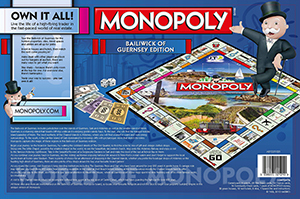 The highest value property, which is Mayfair in the original U.K. version, has been reserved for Guernsey's Castle Cornet. 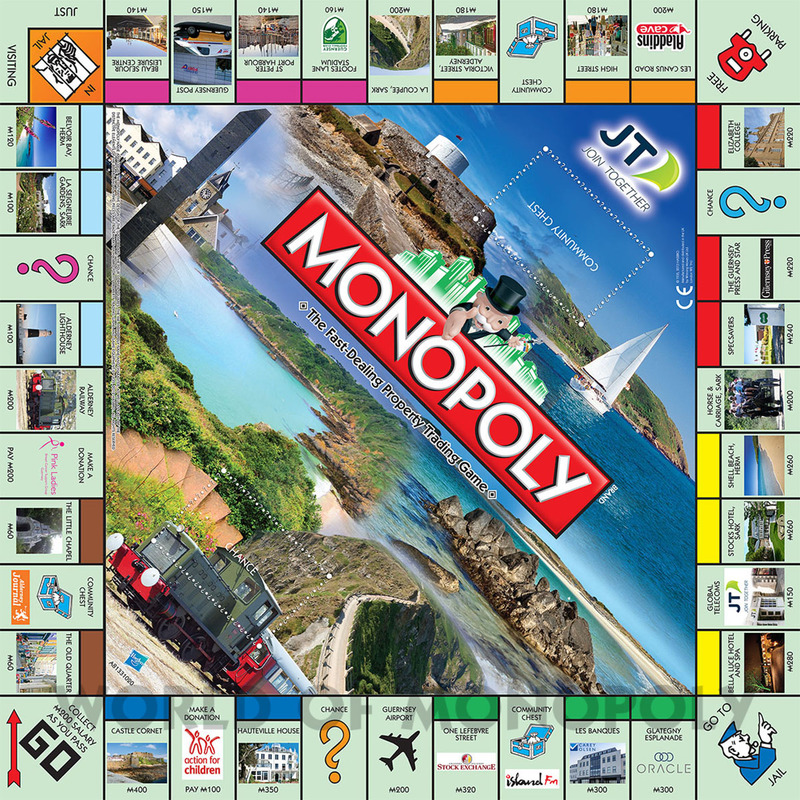 Other sites used include Alderney lighthouse, Footes Lane Stadium and Herm's Shell Beach. 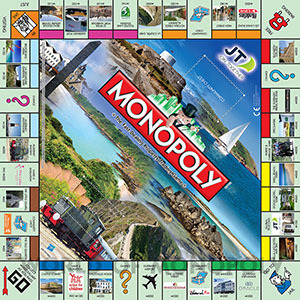 As well as property sites, there are customised playing cards too. 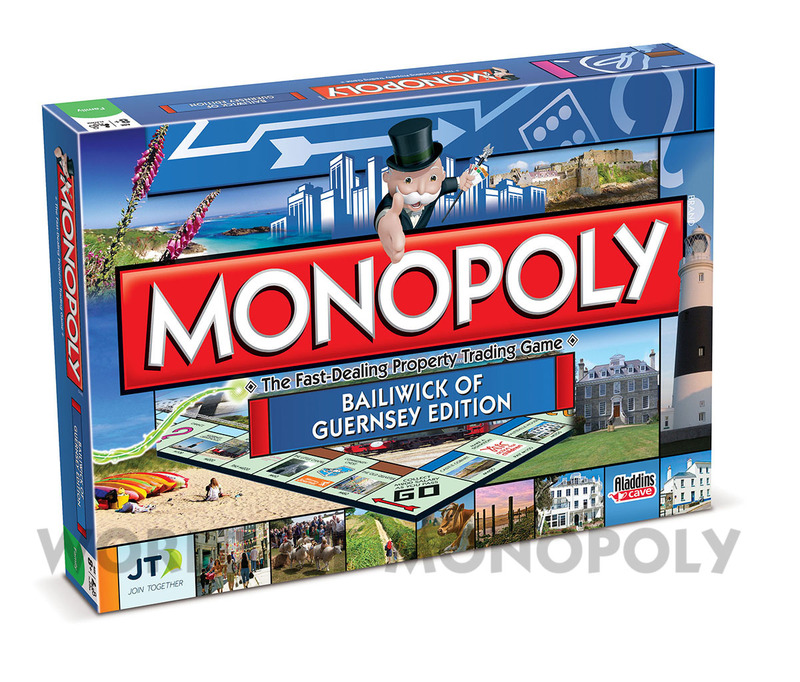 One card fines you for visiting Jersey!